Cosmi’s is one of the neighborhood stalwarts. Sitting on the corner of 8th and Dickinson since 1932, Cosmi’s is both a go-to lunch spot for South Philly regulars and a destination for others. With hoagies named after Rick Nichols, Questlove, Howard Eskin and someone named “Big Ant,” this place does meat right. On a lazy Friday evening, we were looking for a new place to deliver dinner. In the mood for sandwiches, we discovered that Cosmi’s did, in fact, deliver and was open for dinner, unlike some of the other local delis. I took my husband’s order, made my selection and then, well, something caught my eye. Our food came quickly with a friendly delivery guy. The husband, who often veers for the Italian, had the “Vespe” with prosciutto, sopressata, hot coppa, mortadella, sharp provolone, roasted peppers, along with a few of his own, personalized add-ons. Extra special bonus to Cosmi’s for slicing their onions paper thin on the meat slicer which is obviously the best way for hoagie onions. He enjoyed the Italian trimmings, especially sharp provolone like you can only get in South Philly. Preferring a softer, simpler roll, he got a plain roll while I went with seeded for my “award winning” cheesesteak hoagie. And just in case I didn’t have enough cheesesteak, I figured I’d check out their cheesesteak fries. 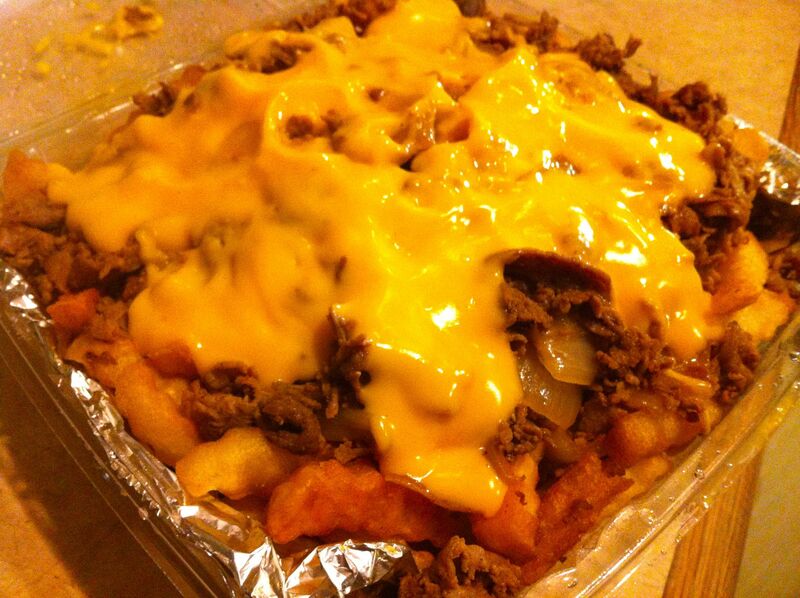 Yep, cheesesteak fries. I opened the container to this glorious concoction staring me in the face. 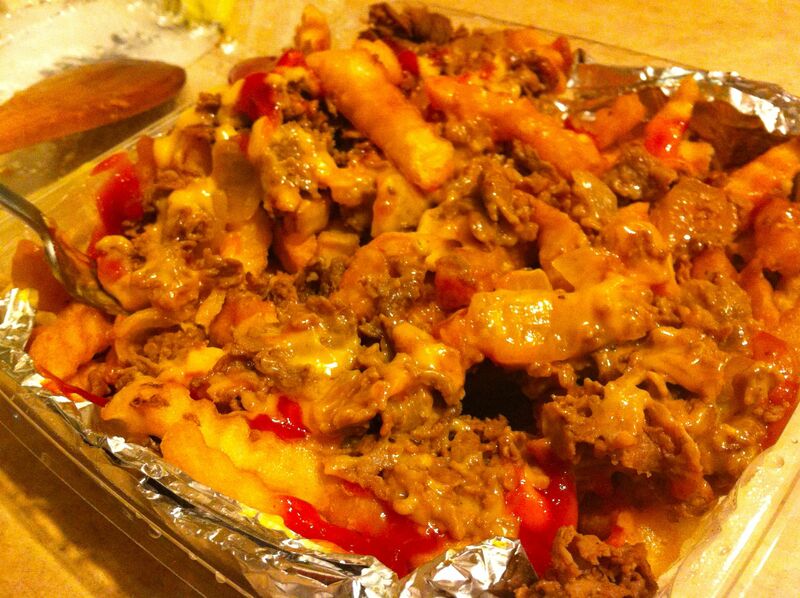 We know I love cheese fries but cheese fries with meat AND fried onions? Oh yeah. 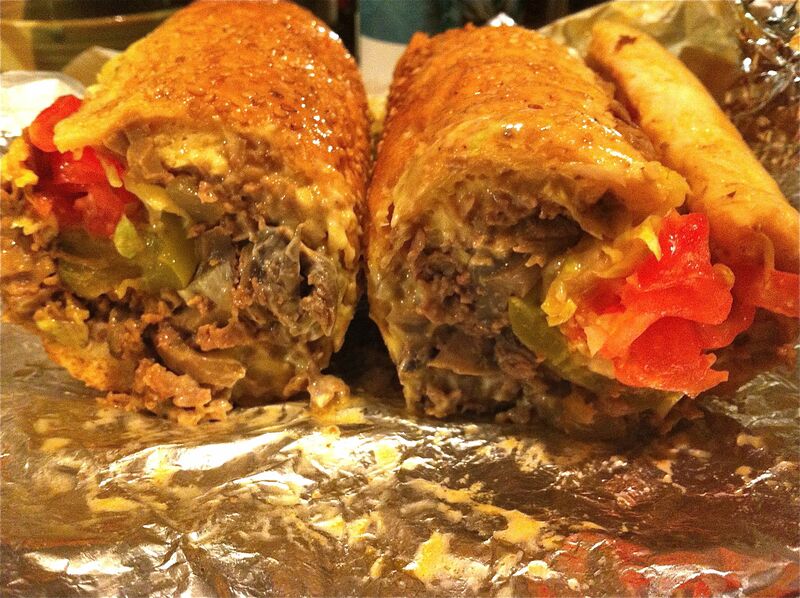 This is what was hiding under that delightful layer of whiz. Cosmi’s is a neighborhood institution that has remained true to itself throughout all of the neighborhood’s changes. 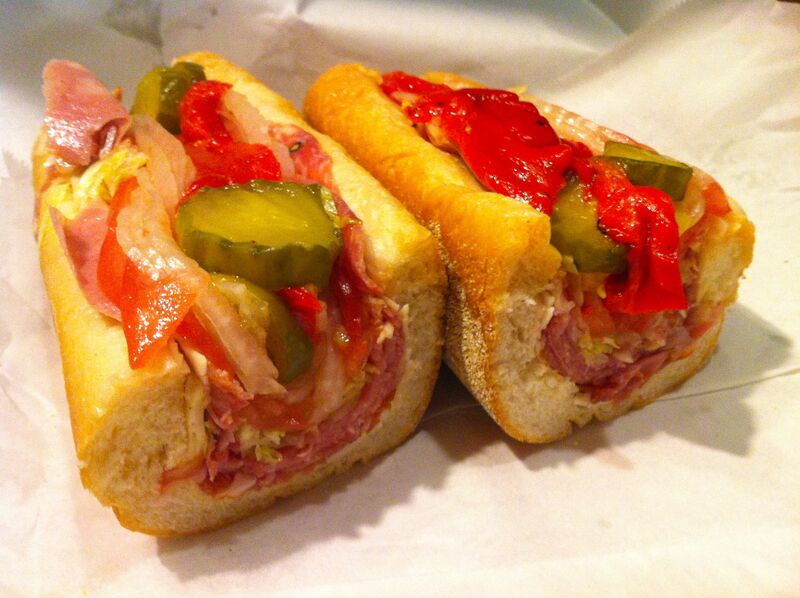 I look forward to going back to try some of the other hoagies and chicken cutlet sandwiches. But really, ya gotta try those fries.